How do I save a Class to my Practice? 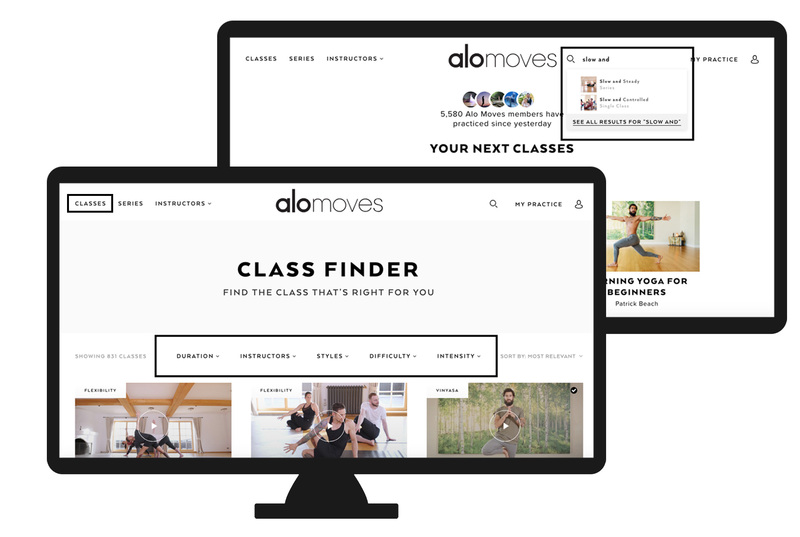 Saving a Class to your Practice is effortless with an Alo Moves Membership! 1. Search for the class in the search bar to find the class you'd like to save (or explore our content by heading to our classes tab and using our Class Finder filter to find the perfect class to fit your needs). 2. When you have found the class you would like to save, click on the drop down window to access the page, or click directly on the class in the Classes tab. 3. Once you are on the class page, scroll down to locate the plus sign button below the video, or the Save to My Practice button depending on how you searched for your class. Click the "save" button. It should then read "Saved to My Practice", and you will be able to find your new class in your Practice here! If you need some further assistance, send us an email and we will get back to you shortly so you can get back on your mat! How do I save a Series online?